The first batch of test results will post this week on Gluten Free Watchdog. Five popular gluten-free brands of breakfast cereals were tested for arsenic, namely General Mills Rice Chex, Kellogg’s Rice Krispies, Erewhon Cocoa Crispy, Enjoy Life Foods Perky’s Crunchy Rice, and Cream of Rice. The next batch of products to be tested for arsenic includes popular gluten-free brands of rice-based pasta. Testing is conducted at the Dartmouth Trace Element Analysis Core at the Center for Environmental Health Sciences at Dartmouth. Findings for both total arsenic and inorganic arsenic are reported. When reviewing the results there are some important numbers related to arsenic content to keep in mind. Codex has proposed a draft maximum level for inorganic arsenic in polished (white) rice of 200 parts per billion. 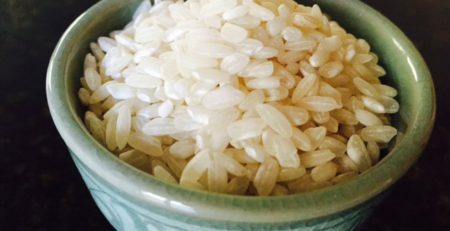 The European Union is considering setting the maximum level for rice-based foods intended for infants and children at 100 parts per billion. I am glad to see the testing for arsenic. We recently became aware of this. I believe a lot of rice grown in the southern states can have an arsenic problem due to arsenic being used on cotton crops for many years down there. I’m afraid to buy any USA rice. People in Europe refuse to buy it. I wonder if organic rice from Thailand or China or anywhere else is safe?